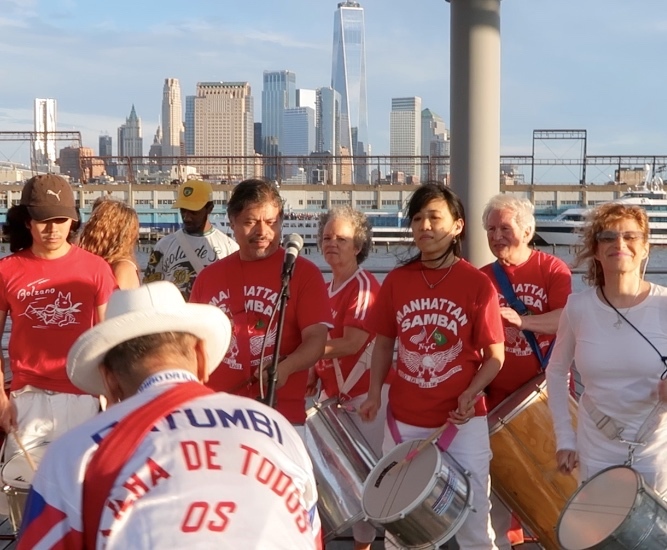 The band I played with for many years, Manhattan Samba, played out on a pier near where I live. I went down and shot some film of them, and I’m going to edit it later in the week. This is a screenshot. It was a lovely evening and I envied their playing out in the sun and sea air!